We provide service and repair on Breitling watches in Marina Del Rey, California. 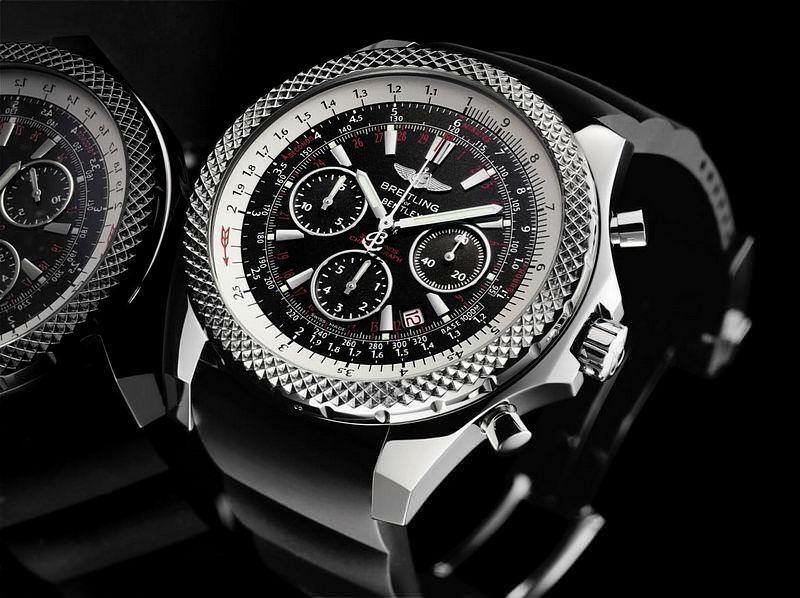 Our company has been providing Breitling service for over 20 years for customers around the entire Los Angeles area. We take pride in your timepiece and we always make sure that all repairs and services meet Breitling factory specifications using only genuine parts. Even if you just need a simple Breitling battery replacement and waterproofing we can assist you. Here at Marina Bay Watch Company our watchmakers are experts in even replacing your battery on your Emergency. Our superior reputation in quality and service makes us the top rated place to get your Breitling serviced. One important factor in maintaining your Breitling on your quartz, mechanical wind, or self winding watch is assuring that all your gaskets are not broken or dried up to assure yourself that your Breitling Watch will not leak from even slight moisture. It is very critical that your watch passes water test to avoid any future water damage. Breitling repairs and cleanings are a very critical task in maintaining your watch properly. Other Breitling Services offered for Breitling Watches are Full Overhauls on Mechanical and Self Winding movements, crystal replacements, crown replacements, dial refinishes, case and band refinishing, band repair, band sizing, clasp repair, and many other services. Steps in a Breitling cleaning and Breitling Repair Service are as follows. All Breitling Watch Services include a 1 year warranty! Customer Satisfaction Guaranteed. All Breitling Batteries come with a one year warranty! A Breitling service is recommended every 3-5 years. 1884 - In St. Imier, in the Jura mountains of Switzerland, Leon Breitling opens a workshop specialising in making chronographs and precision counters for scientific and industrial purposes. In 1914 Leon Breitling dies and the company is passed over to his son Gaston, a year later Gaston creates the first wristwatch chronograph and subsequently provides pilots with the first wrist instruments. By 1923 Breitling had developed the first ever independent chronograph pushpiece. Gastons son, Willy Breitling takes over control of the company in 1932 and in 1936 Breitling becomes the official supplier to the Royal Air Force. The Chronomat is introduced in 1942 - the first chronograph to be fitted with a circular slide rule. The company also widens its professional clientele to include the American armed forces. 1954 saw the creation of the Navitimer, a wrist instrument equipped with the famous navigation computer. This super chronograph becomes a firm favoutite among the pilots across the globe. By this stage, Breitling is already supplying the major international airlines with cockpit clocks. In 1962, Astronaut Scott Carpenter wears the Cosmonaught chronograph during his orbital fligh aboard the Aurora 7 space capsule. 1952 - Navitimer launched. Models in the range include Navitimer 50th Anniversary, Navitimer Heritage, Navitimer Brietling Fighters, Navitimer Olympus, Cosmonaute, Montbrillant and Montbrillant Datora. Windrider - Models in the range include Chronomat, Chronomat Lontitude, Wings Automatic, Crosswind, Crosswind Racing, Crosswind Special, Headwind, Callisto, Callistino, Blackbird and B-Class. Recently Breitling has formed a unique parnership with Bentley and have introduced a range of exclusive chronographs. Models introduced are the Breitling Bentley 6.75, Breitling Bentley GT, Bentley Motors Chronograph and the Breitling Bentley LeMans.